`Old MacDonald' has some new friends! Get set to roll up your sleeves. 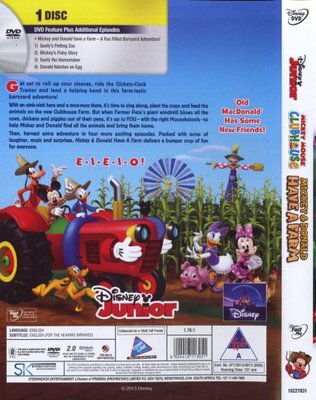 Ride the Clickety-Clack Tractor and lend a helping hand in this farm-tastic barnyard adventure! With an oink-oink here and a moo-moo there, it's time to sing along, plant the crops and feed the animals on the new Clubhouse Farm. 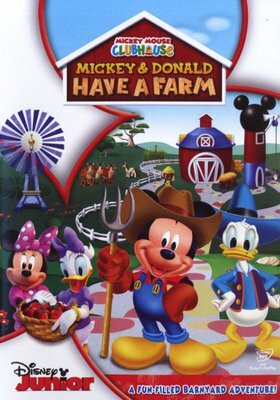 But when Farmer Pete's giant windmill blows all the cows, chickens and piggies out of their pens, its's up to YOU- with the right Mouseketools- to help Mickey and Donald find all the animals and bring them home. Then, harvest extra adventure in four more exciting episodes. Packed with acres of laughter, music and surprises, Mickey & Donald Have A Farm delivers a bumper crop of fun for everyone.